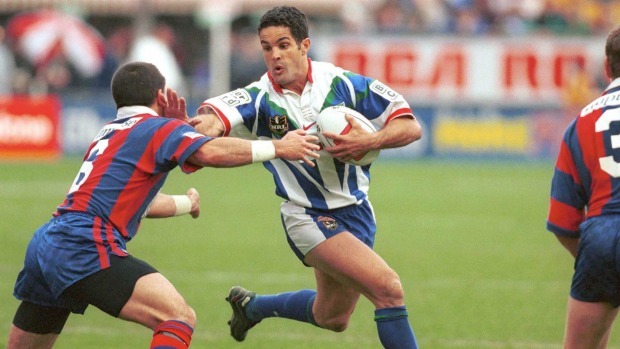 1997 was the Auckland Warriors 3rd first grade season in the Australasian Rugby League competition. John Monie again had the job of head coach for the year but after starting the campaign with 6 losses from the opening 9 rounds, Monie was replaced by Frank Endacott who would take over from Round 10. The change of coaches proved to do little as the Warriors went on to lose the first 3 games under the watch of their new head coach. At the completion of Round 12 the Warriors entered the World Club Challenge Tournament where they managed to string 3 wins together over St Helens, Bradford and Warrington before they returned to the Australian Super League Competition. The mid season break seemed to give the lads a much needed confidence boost. Although they lost their Round 13 clash against the Panthers, which made it 7 losses on the trot and leaving the club without a win in the Australian Super League competition for 3 months, they finally managed to break the duck with victory over eventual Grand Finalists, Cronulla Sharks, before going on to win 7 (3 of those in WCC Tournament) of their last 8 games to finish the season. Despite the late season revival and the reduced amount of teams, the Warriors failed to make an impression on the competition. The club went on to win 7 games and lose 11, leaving them with 14 competition points, 4 points adrift from playing semi final footy. The only positive was the team's performance in the World Club Challenge. The Warriors hammered United Kingdom powerhouses Wigan and St Helens, and comfortably handled Warrington. The Warriors were knocked out in the Semi Finals by eventual winners Brisbane, going down 16–22. 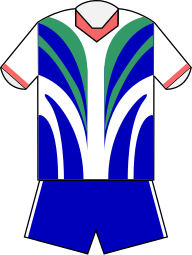 The Warriors adopted a new jersey in 1997 that matched the Super League style used by the other nine teams in the competition. The jerseys were made by Nike, Inc.
12 April - Round 7: Sean Hoppe plays his 50th match for the club. 19 April - Round 8: Gene Ngamu and Tea Ropati play in their 50th match for the club. 27 April - Round 9: Stephen Kearney plays his 50th match for the club. 6 July - Round 14: Stacey Jones plays his 50th match for the club.